Every month I give my students a little gift that reminds them of the value we study for the month. For example, in December we focus on determination and I give the students chomping teeth to illustrate tenacity. This month, our focus is on patience and, quite honestly I wasn’t sure what to get them. I came across some toy Slinkies that I had bought a few weeks back and figured I could use them even though I wasn’t sure how to tie it in with patience. First, I decided to make them wait for it. I didn’t give it to them until later in the month, and then I thought it would make a cute gift to give on their first day of MCAS, our high stakes test. I put one slinky on each desk as I prepared the room for the day. The kids were so excited to see them! 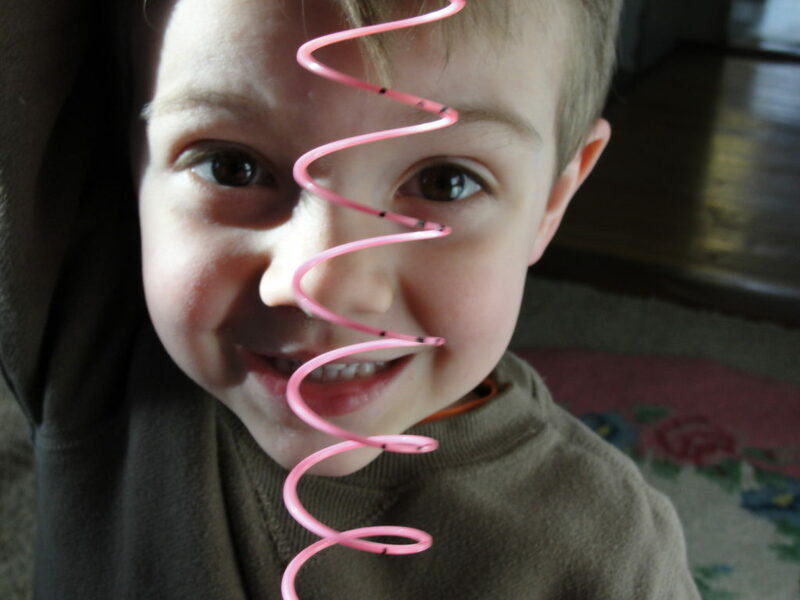 “Slinky!” they exclaimed as they ripped them out of the plastic. It wasn’t long before they discovered that these (cheap) toys didn’t work right away… you had to pry them apart to make them slink. Another bonus for having them during our patience month! Before I asked the students to put the Slinkies in their desks, we talked a little bit about the plastic toys and I worked in additional links to patience. Then it was time to get up and stretch before we began. We all stood, many students with their Slinkies, and stretched. After sitting back down, I reviewed with the students how to stretch at their seats and when they feel overwhelmed to do a small stretch break before getting back to work. 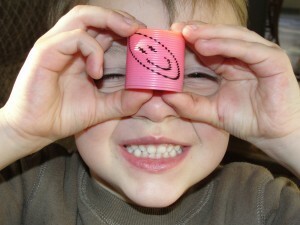 Many of them stretched their Slinky, compressed it and smiled at the smiley face printed on the toy. It was cute and it made me smile. 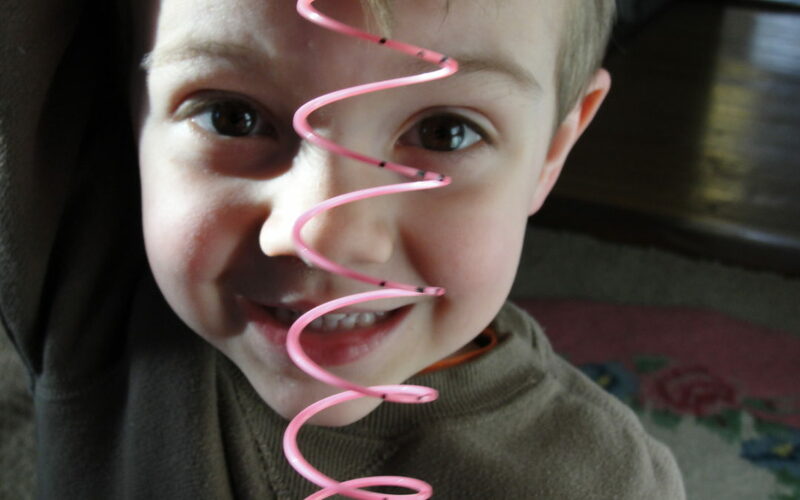 Thanks to my then 5-year-old son who modeled how to stretch the slinking for the included pictures!